Read Liz's take on starting a new business, social listening and brand strategy, and social listening snapshot insights from Steve. Enjoy! We’re a learning organization, which Peter Senge describes in The Fifth Discipline as “where people continually expand their capacity to create the results they truly desire, where new and expansive patterns of thinking are nurtured, where collective aspiration is set free, and where people are continually learning how to learn together.” This concept was the focus of the second year of my doctoral leadership curriculum. It sounds fantastic. But if you think about what it means to live this day in and day out, you quickly realize it’s inherently difficult, requires a lot of focused work from everyone, and is personally challenging. I’m lucky the #Sonarians are people who like to do hard work. I can only speak for my own experience, but 2019 has already been incredibly challenging and I wouldn’t have it any other way. For me, leading a learning organization means: I’m learning how it feels to be ultimately responsible for the livelihood of people I consider friends and colleagues; this hit me like a ton of bricks and was totally unexpected, but I’ve learned that worrying for others isn’t my job. I’m learning to let go of work, knowledge, and processes I’ve completely controlled and watch other people do it better than I ever could. I’m learning about the unintentional impact my words and actions have on others, and how to be more self-aware and mindful to mitigate unintended outcomes, while remaining true to myself. I’m learning how to give and receive feedback that some may describe as brutal, but is necessary to build capacity. I’m learning to roll with the punches, confront unexpected challenges or setbacks, and continue to move forward in line with our vision. Through new and departing team members, I’m learning about the culture that’s manifesting, and the role we play in growing and creating it. And finally, I’m learning that I have a lot more to learn, and I'm excited to have that opportunity every single day alongside this rockstar team. If you or someone you know is interested in learning and growing with us, we’ll continue hiring in a variety of roles throughout 2019. Learn more about our career opportunities on our website, and feel free to reach out to your favorite Sonarian at any time with questions. We view social listening as a research tool, and in the last month two experiences with campus partners illustrate this perfectly. Hopefully their stories will put social listening, brand, and actionable campus strategy into context. We also recommended a hashtag like #SHCFamily to bring the conversations together. 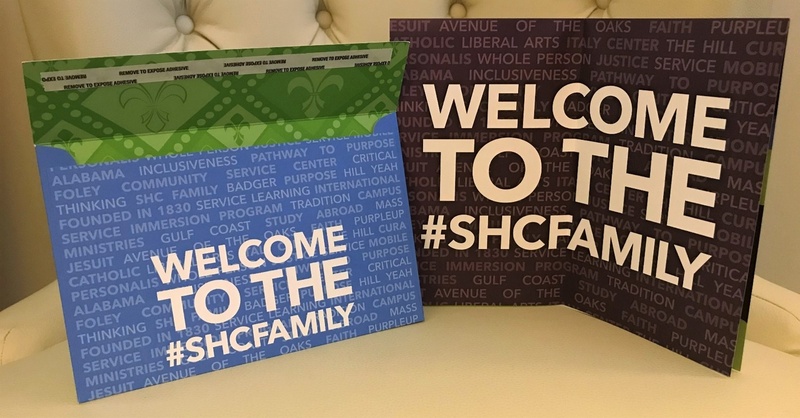 A year later, SHC integrated family into their established brand platform of “influence, inspire, ignite” and included #SHCFamily on their totally Instagrammable admit packets. We also have over a year of experience working with Beloit College. Our initial three-year conversation analysis in 2017 identified a lot of conversation about athletics and the Mindset List (no longer affiliated with the college), but few other themes related to brand. That was one of the factors that lead to the development of five new brand drivers for the college. When the drivers were launched in August 2018, we leapt into action. Our analysts worked with campus marketing to build a qualitative coding system (i.e., a taxonomy) to identify brand drivers embodied by common language of both the college and people talking about it. In February, we delivered a full analysis of the brand-aligned conversation from September through December. This provided timely, valuable benchmarks for Beloit to see how their brand is represented in conversation, understand what drivers are represented more or less than others, and where online they see the most brand-aligned conversation. We also did a deep dive into owned content on Twitter and Instagram to help them understand the brand-aligned content with the most impact online. All told, we identified nine action items as a result of this research, related to content creation, social media strategy, and earned media strategy. The Higher Ed Social Listening Handbook—The handbook explores how the concept of campus reputation is changing and how you can create a strategy that amplifies your voice and overpowers the media. You’ll find key brand metrics, strategic implications of brand management, and two case studies. Campus Reputation Management—An explanation of the importance of reputation management for institutions, how to understand it, and the three key metrics you need to understand the conversation about your brand. Online Presence Is Your Brand: What Does Yours Say About You? For institutions interested in working with Campus Sonar on a social listening project, a free Social Listening Snapshot can be a helpful exercise in understanding conversation volume, sentiment, and patterns over an academic year. But the Campus Sonar team also benefits from this activity, as each new snapshot gives us a more detailed look at conversations taking place online. We’ll occasionally share those insights with you, from the perspective of Campus Sonar’s Account Executive, Steve App. As an experienced content marketer and aspiring minimalist, I’ve long held the belief that quality trumps quantity. But upon joining Campus Sonar, I abandoned that mindset, hoping that with each free snapshot we completed, we’d discover loads of conversation taking place about each institution. Of course, thanks to recent benchmarking data, we know that’s not likely. And that’s okay. Having now collaborated with Campus Sonar Social Media Data Analysts on several free snapshots in my short tenure, I recognize that my early mindset was borne from insecurity. I was fearful that a low quantity of conversation would automatically lead to a poor-fit client and lost opportunity. What changed? Well, like most things on the internet, it happened on Reddit. When we judge the value of social listening on quantity of conversation alone, we fail to recognize the value of each individual conversation snippet. That was never more evident than when I discovered this post, shared on a Reddit thread by an enrolled college student. It’s easy to generalize the internet as a place for cat memes and video streams of teenagers playing video games, but this Reddit post is an excellent reminder that for some individuals, the internet is their safe place—a place to admit adversity and seek support. In this particular instance, the institution wasn’t aware of this post. Luckily, their community stepped up in a big way. An overwhelming percentage of the 19 comments were supportive, with students and alumni extolling the virtues of the institution’s in-house counseling services, praising the student for admitting their situation, and encouraging them to seek help. From a broader perspective, this post offers an important lesson for higher education administrators. My conversations with colleagues about social listening often revolve around topics like reputation management, prospective and admitted student engagement opportunities, or the ability to reconnect with alums gone dark. And while those are all worthy outcomes, it’s important to note that social listening can also play a meaningful role in student success and student wellbeing. And while we may only make a difference for one student at a time, when it comes to topics like depression, isn’t that enough? What’s the most rewarding puzzle you’ve solved so far? Amber: I really enjoyed working on the #ConversationBenchmarks report. From identifying the methodology to building the sample to drafting the report and leading the data collection and analysis—it was rewarding to see each piece of the study come together. Of everything involved, I enjoyed building the sample the most. I started by identifying an appropriate sample size based on the total population, confidence interval, and margin of error. Then,I identified which institutions would actually be in my sample—it was sampling of convenience (we'd already completed queries for some institutions, institutions with non-generic names), but the sample was also stratified to certain population characteristics (institution control, size, region, and program type). Hitting my sample size while also accounting for the other variables in selecting institutions was a satisfying puzzle to solve. 2019 Online Conversation Benchmarks for Higher Education—Campus Sonar’s newest research is designed to provide you with data to define your online conversation, conversation volume, and branded content based on comparable institutions. 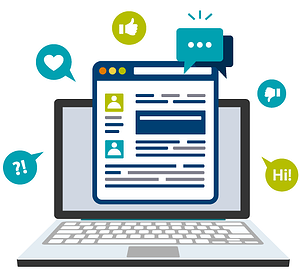 How Social Listening Powers Real Connection with Your Customers—A guide from Sprout Social on how you can use social listening to anticipate customers’ needs and stay ahead of your competition. Then check out our customer service tips and takeaways to help you meet your higher ed customers where they are. 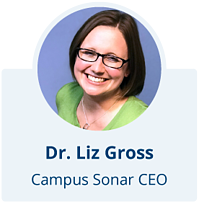 Interview: Campus Sonar Founder Liz Gross on Social’s Role in Identity, Engagement, and Crisis in Higher Ed—Gemma Joyce from Brandwatch interviews Campus Sonar CEO Liz Gross about how institutions can engage in real conversations and create opportunities in all areas including recruitment and retention, alumni engagement, and fundraising. 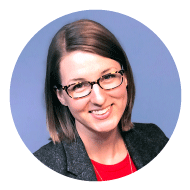 Liz and Genna Kasun from Juniata College present “Using Influencer Marketing to Achieve Advancement and Enrollment Goals” on March 25 at 2:10 p.m. Get a sneak peek of what they might present from Genna’s blog post Creating Long-term Partnerships: Engaging Students and Alumni Influencers. You can also catch Steve and Liz in the exhibit hall. Catch Liz presenting “Creating a Digital Engagement Strategy for Admissions and Recruitment” with Rick Clark, Director of Undergraduate Admissions at Georgia Tech, and David Graves, Senior Associate Director of Undergraduate Admissions at the University of Georgia. Liz is on the faculty at the UCDA Design Summit and presenting the keynote—“Using Social Listening Insights to Understand Your Audience.” She’s also hosting a hands-on workshop—“Not Quite Big Data: Social Media Data Workshop.” If you’re attending, make sure to see one of her sessions and be ready to nerd out if you’re into big data. Campus Sonar is a co-sponsor of ListenUp EDU and most of us will be there in person—Liz, Steve, Amber, and Bri. ListenUp EDU ditches the typical conference agenda and explores how listening, service, and trust-building can accelerate student success, alumni engagement, marketing and communications, and advancement. Learn more about the conference and register now! Brain Waves newsletter is for you—help us shape the news we share with you. Tell us what you think, send us suggestions, and let us know what would help you do your job better. We want to know! Send your feedback to info@campussonar.com. You received this email because you are subscribed to Brain Waves Newsletter Subscription from Campus Sonar.